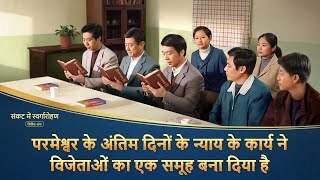 Hindi Christian Movie | स्वप्न से जागृति | Revealing the Mystery of Entering the Kingdom of Heaven Hindi Christian Video | विजय गान | Preaching the Gospel of the Return of the Lord Jesus Hindi Christian Video | संकट में स्वर्गारोहण | The Salvation of the Lord in the Last Days (Hindi Dubbed) Hindi Christian Movie | धन्‍य हैं वे, जो मन के दीन हैं | Have You Welcomed the Return of Lord Jesus? 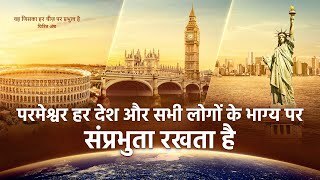 Hindi Christian Movie | परमेश्‍वर का नाम बदल गया है?! 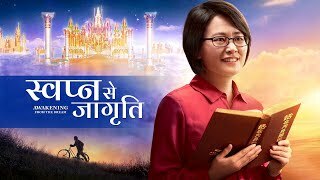 | The Savior Lord Jesus Has Come Back Hindi Christian Movie | सुसमाचार दूत | Preaching the Gospel of the Kingdom of Heaven to All Peoples Hindi Christian Movie | महाअज्ञान | Why Can’t Foolish Virgins Enter the Kingdom of Heaven? 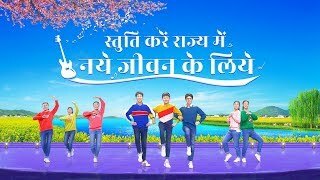 Hindi Christian Movie | सिंहासन से बहता है जीवन जल | How to Seek the Footsteps of the Holy Spirit Hindi Christian Movie | जोखिम भरा है मार्ग स्वर्ग के राज्य का | God Is My Rock and My Salvation Hindi Gospel Movie | भक्ति का भेद - भाग 2 | Preaching the Gospel of the Second Coming of Lord Jesus (Hindi Dubbed) Hindi Christian Movie | तोड़ डालो अफ़वाहों की ज़ंजीरें | Welcome the Return of the Lord Jesus Hindi Gospel Movie | पकड़ ली आखिरी गाड़ी | Welcome the Appearance and Work of Christ of the Last Days Hindi Christian Movie | परिवार में रक्तिम पुनर्शिक्षा | Spiritual Warfare in a Christian's Family Best Hindi Christian Movie | कितनी सुंदर वाणी। | Have You Welcomed the Return of Lord Jesus? 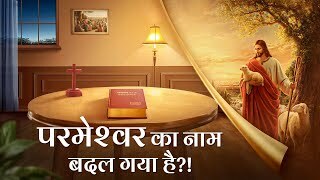 New Hindi Christian Movie | मर्मभेदी यादें | True Confession of a Christian (Hindi Dubbed) Hindi Christian Movie | बाइबल से बाहर निकलें | Can We Gain Eternal Life by Keeping the Bible? 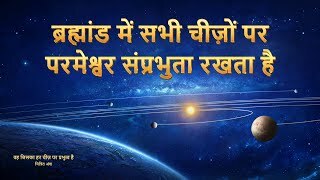 Hindi Christian Movie | वे कौन हैं जो वापस आए हैं | Lord Jesus Christ Has Come Back (Hindi Dubbed) New Hindi Christian Movie | "जागृति" | God Awakens My Soul (Hindi Dubbed) Know the True Story of the Bible | Hindi Christian Movie "बाइबल के बारे में रहस्य का खुलासा" (Hindi Dubbed) The Second Coming of Jesus | Hindi Christian Movie "द्वार पर दस्तक" (Hindi Dubbed) Hindi Christian Movie | "मेरे काम में दखल मत दीजिए" | The Spiritual Awakening of Christians Welcome the Second Coming of Christ | Best Hindi Christian Movie "मायाजाल को तोड़ दो" (Hindi Dubbed) Best Hindi Christian Movie | "तड़प" | God Reveals the Mystery of Kingdom of Heaven (Hindi Dubbed) God Is My Lord | Almighty God Saved Me | Hindi Christian Movie "बच्चे, घर लौट आओ!" 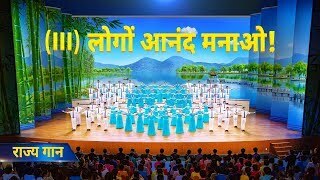 The True Meaning of Faith in God | Hindi Gospel Movie | "परमेश्वर में आस्था" (Hindi Dubbed) Hindi Christian Movie "बदलाव की घड़ी" | How to Be Raptured Into the Kingdom of Heaven (Hindi Dubbed) God’s Warning in the Last Days | Hindi Christian Movie | "शहर परास्त किया जाएगा" (Hindi Dubbed) Welcome the second coming of the Lord Jesus | Hindi Gospel Video "स्वर्गिक राज्य का मेरा स्वप्न" Hindi Gospel Movie | भक्ति का भेद | How Will Jesus Christ Come Back? (Hindi Dubbed) Hindi Best Christian Family Movie "कहाँ है घर मेरा?" 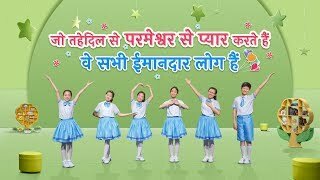 Hindi Gospel Movie "प्रतीक्षारत" | The Lord Jesus Christ Has Appeared to Do His Work (Hindi Dubbed) Hindi Christian Video | The Lord Jesus Is My Shepherd and My Strength | "बेड़ियों को तोड़ो और भागो" Hindi Christian Movie | Unveiling Mysteries of the Bible | "बदलाव की घड़ी" Hindi New Gospel Movie | Is Life From the Bible or From God | "बाइबल और परमेश्वर" Hindi Gospel Movie | Do You Know the Relationship Between the Bible and God? | "मेरा प्रभु कौन है?" 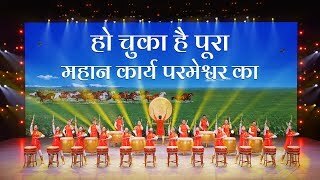 कलिसियाओं के लिए पवित्र आत्मा के वचन "संपूर्ण ब्रह्मांड के लिए परमेश्वर के कथन - तेरहवाँ कथन"